2 metre sample pack of Swedish Tracing Paper. The only way to draft, trace and copy your sewing patterns. Swedish Tracing Paper is durable, strong, see-through and "drape-ably" soft pattern paper. Now you can make short work of this guessing game by tracing your own patterns onto the Swedish Tracing Paper. Cut it out, baste it together, and try it on. Mark changes easily right on the paper by using a felt tip pen, ink pen, or a pencil. Remove your basting, and pin to your fabric for cutting. If you have not tried our tracing paper yet, you don't know what you have been missing! Every pattern company has their own idea of how to size patterns. You have just avoided an expensive mistake. I have used this product for over 10 years and I wouldnt even try another similar product - this works so well. With the characteristics of a paper and a fabric together, you will find this does not stretch and is strong enough for your pieces to be stitched together so you can try on your creation for size and adjusting. 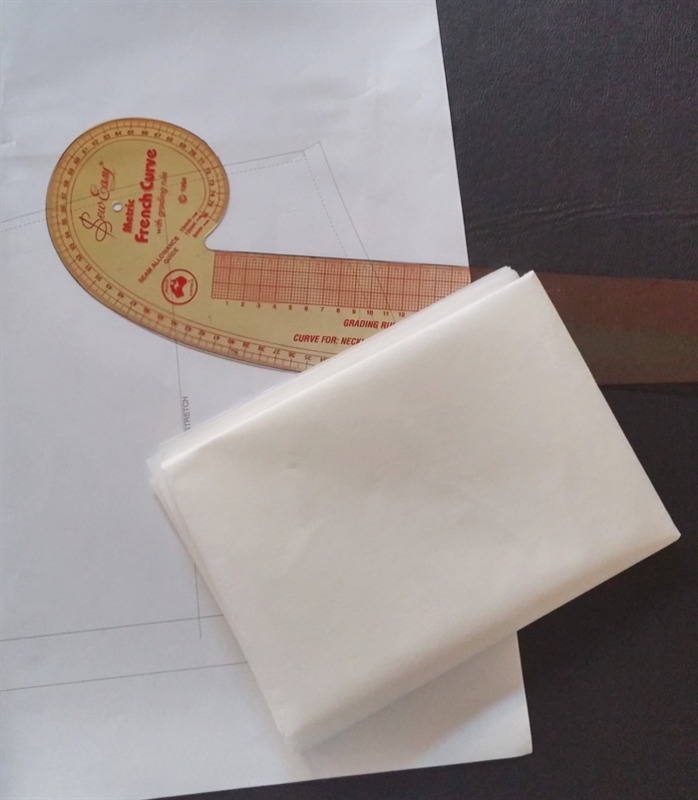 Simply iron flat your pattern or hand smooth it and place it under the Swedish Tracing paper. Use a few pattern weights or pins and you can trace off your pattern easily. Blend sizes, add or remove length as you go.